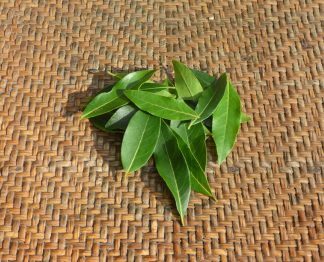 *Organically Grown / LOCAL - DEOSA's own Bay leaves are perfect to flavour your Summer salsas and baked dishes - really yummy in tomato sauces. *Certified Organic/100% Aust. 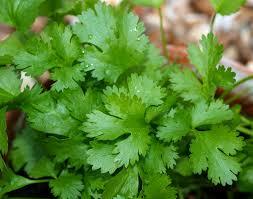 Grown This Coriander is perfect for adding to fresh salads or for making Pesto (see recipe below). A deliciously fresh staple herb in Asian cooking. *Certified Organic/100% Australian Grown A staple herb of Greek and Turkish fare, dill gives such a fresh flavour to cooked meals and is so good in salads as well. *Certified Organic/100% Aust. 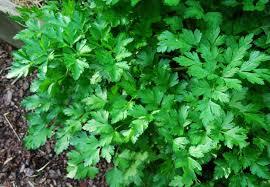 Grown Flat leaf Parsley is packed with iron and calcium and is perfect for adding to fresh salads or for making Tabouli. Also delicious in fresh juices!  *Organically Grown /LOCAL - DEOSA's own This Purple Garlic has been lovingly grown on the DEOSA Family Farm and brings essential flavour to most savoury dishes. A must in Mediterranean cooking and fresh salad dressings, it is also used in marinades. 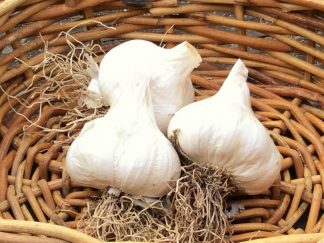 *Certified Organic/LOCAL - Lanitza Support local Organic growers and buy this beautiful Russian Garlic. 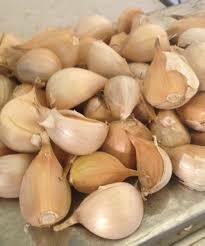 Sold as single cloves, Russian Garlic brings a delicious garlic flavour to your salads and cooked savoury dishes. *Certified Organic/100% Aust. 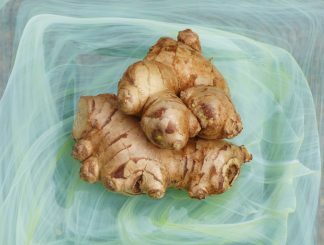 Grown This Ginger is so fresh and is perfect for boosting flavour and adding depth to a wide range of dishes - an essential in Asian cooking. 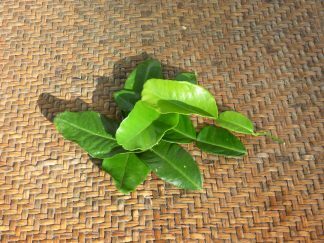 *Organically Grown / LOCAL - DEOSA's own Kaffir Lime leaves give a most distinctive flavour to fish dishes and balance the rich taste of coconut cream in curries. *Certified Organic/100% Aust. 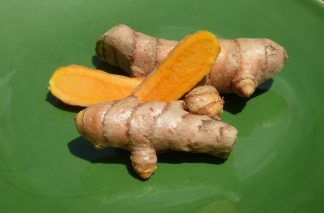 Produce With its distinctive orange hue and slightly earthy taste, Turmeric is an essential in curries and a much valued 'health food'.